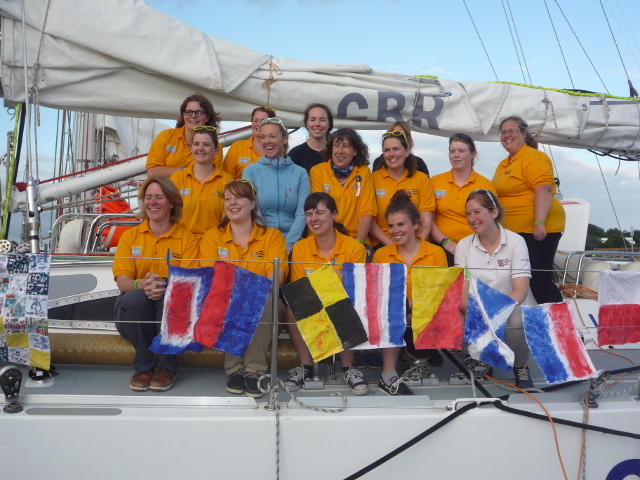 With a crew of Girlguiding members taking part in this year’s Rolex Fastnet Race, a number of Islanders have shown their support for the crew who call themselves the ‘Fastnet Divas’. Having had to undertake three qualifying yacht races The Cervantes Trophy, Myth of Malham Race, and The Morgan Cup all organised, as is the Rolex Fastnet Race itself, by the Royal Ocean Racing Club (RORC) and all of which started from The RYS Line in Cowes the crew has got to know the Island well over the past few months and were thrilled with the local support when they arrived to take place in the Rolex Fastnet Race. Naturally there was support from Girlguiding IW in the form of local Brownies, Guides and Guiders. Some were able to visit the yacht, Challenger 3 which belongs to the Tall Ships Youth Trust, whilst others headed for the RYS to join the crowd waving the race off. 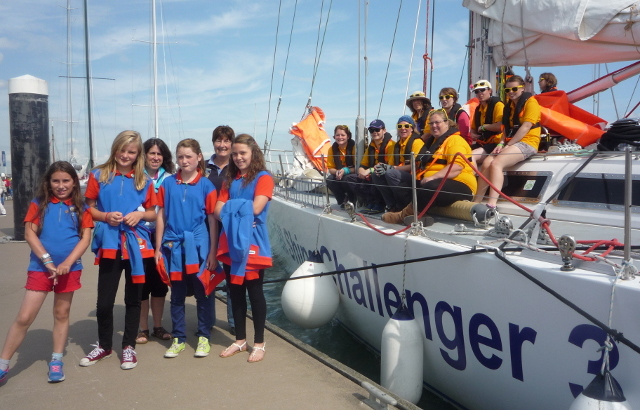 Already many of the local Girlguiding Units, as well as others in the UK, have undertaken ‘The Fastnet Challenge’ Badge which involved as well as understanding the race, all aspects of seamanship and things nautical. Locally, Brownies have entered the Island’s carnivals as Fastnet Yachts and units from Guernsey have made a tapestry depicting sea scenes. This tapestry is being carried on board Challenger3 during the race. More local support came from Girlguiding IW Ambassador Shirley Robertson OBE. Shirley was the first British woman to win consecutive Olympic Golds and has also undertaken the Rolex Fastnet Race on several occasions. Members of the Fastnet Divas were thrilled when Shirley agreed to become their Patron and even more thrilled when she agreed to meet them on the yacht before the start of the race. Although undertaking a very busy filming schedule for the race Shirley was only too happy to visit the boat and chat with all the crew telling them of some of her own Girlguiding and sailing experiences. Further Island support came from the Commodore Mark Wynter and members of the Island Sailing Club. Offering the crew hospitality before the race the Fastnet Divas enjoyed the fine views of Cowes and the Solent whilst Peter Bingham, Vice Commodore, told them a little history of the Club and another of the famous races with a start in Cowes-The Round the Island Race which is organised by the ISC. Challenger 3 is skippered by Beth Terrell who is one of a team of professional skippers who work for the TSYT which is based in Portsmouth and offers sailing opportunities for anyone wanting to sail. 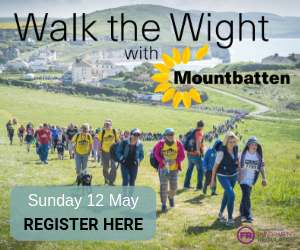 Girlguiding members (Fastnet Divas) are: Hannah Nobbs, Amy Mossop, Charlotte Scoynes, Jos Baldock, Kate Felton, Jane Brooke, Tanya Trevena, Hilary Zayed and April Ulyatt. 2 Comments on "‘The Fastnet Divas’ given great support from the Isle of Wight"
Update from Tracker. Challenger 3 just rounding Lands End.304th Overall, 51st in class. Creditable effort. Sailed into Plymouth 05.45 this morning. 292nd overall. 52nd in class.